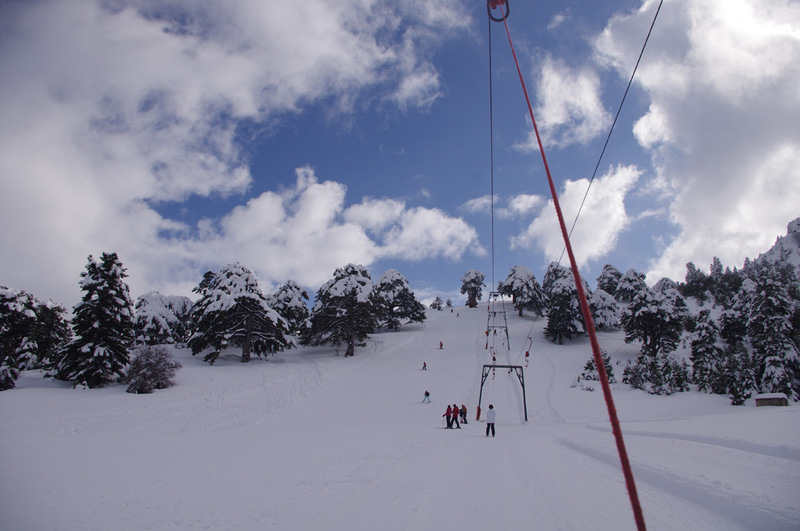 There are 3 ski centres in the Peloponnese, did you know? 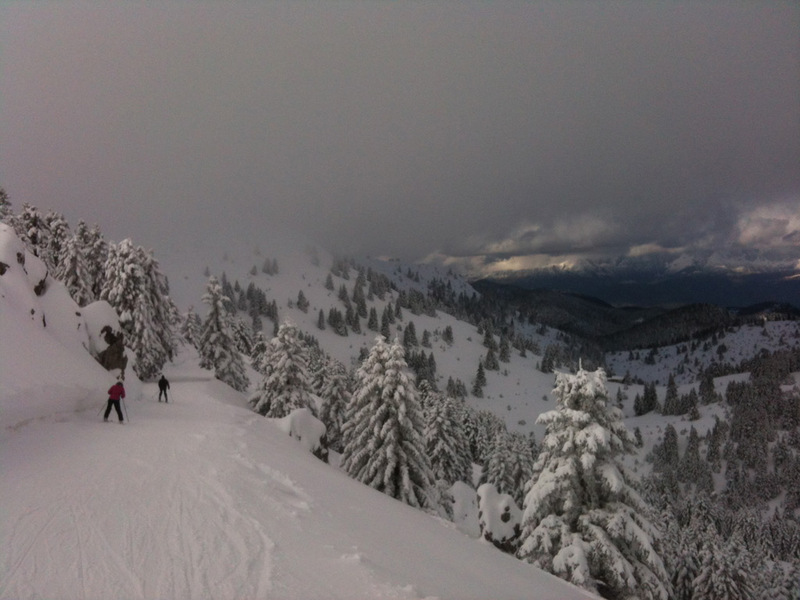 Come to Greece in the winter and combine your sightseeing with winter skiing! Description: There is a small ski resort on Mount Ziria , called the “winter sports centre of Ziria”. It has one small beginner’s lift and one half red/half blue piste. 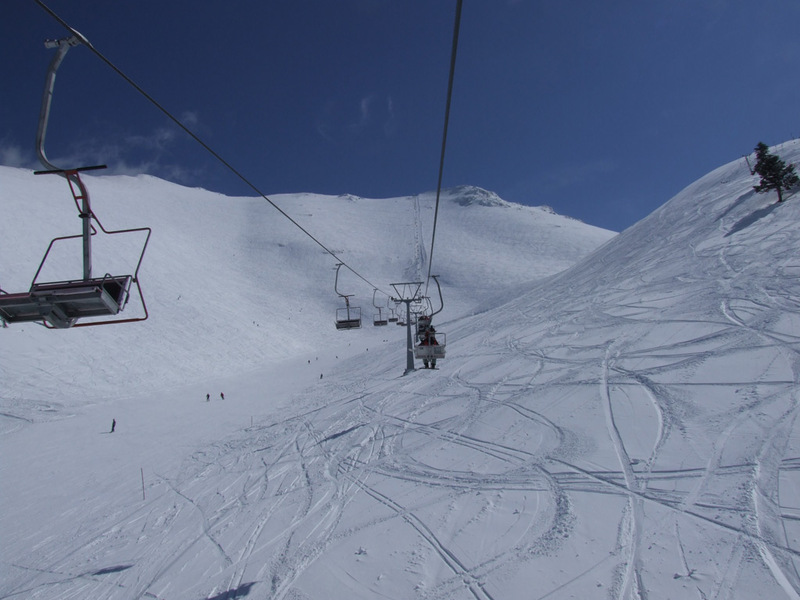 The centre is great to initiate your children, or yourself, to the joys of winter sports! The centre also has a very pleasant chalet where you can have a coffee and snacks, built in 2007. The mountain is full of forest roads where you can go for Nordic skiing. Although these roads are not prepared for Nordic skiers, the snow has usually been flattened by the occasional passing vehicle and can therefore be easily ridden with your skis. You could call the sport “off-piste Nordic skiing”! The itineraries you could ski are very beautiful, as you pass through virgin territory. 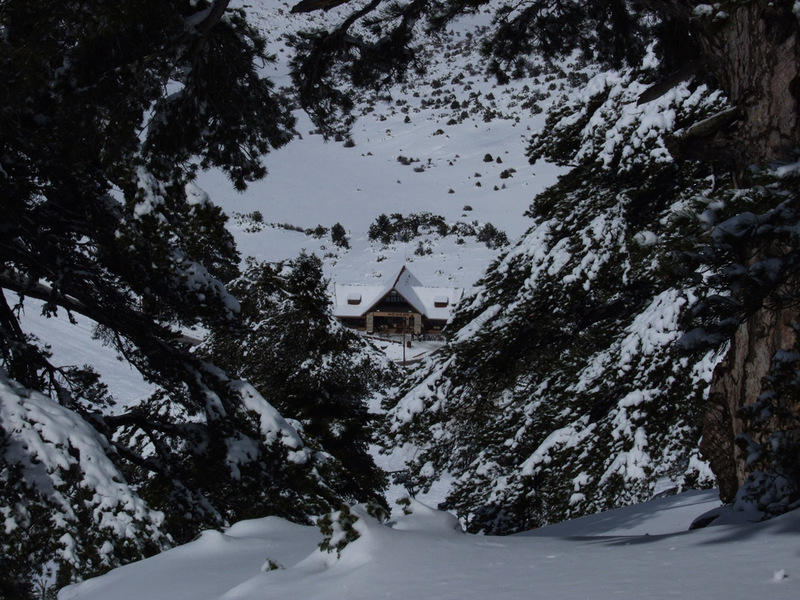 The views of the snowy peaks of Mount Ziria provide a perfect backdrop for your itinerary! 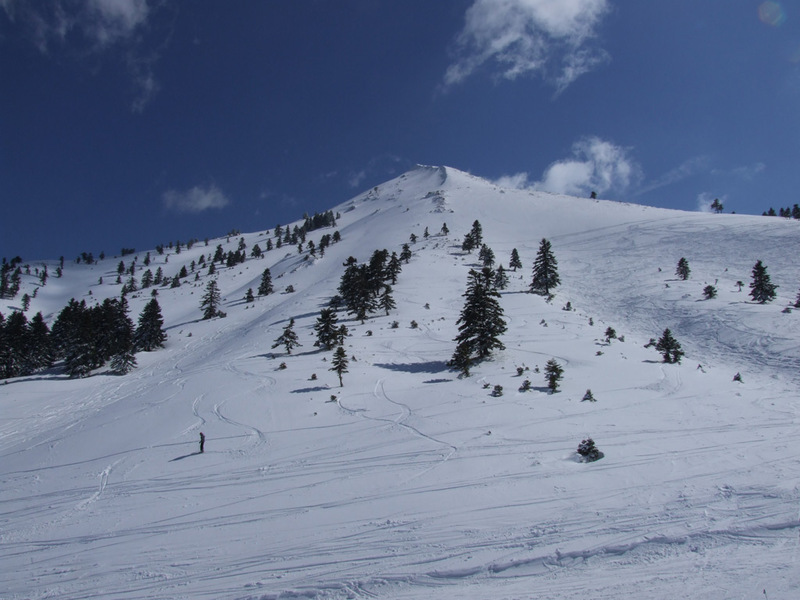 And if you are an extreme sports type and prefer ski touring or ski mountaineering or the equivalent snowboard version, mount Ziria could provide you with some astonishing terrain… with views of the sea! 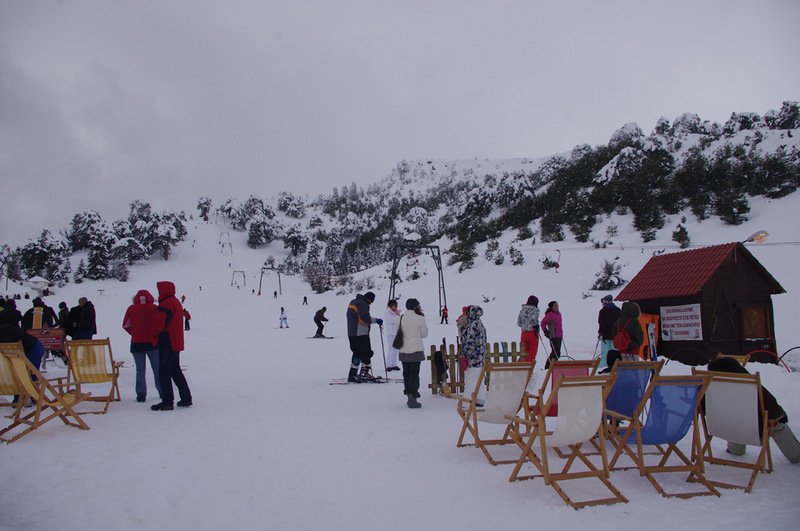 Description: On mount Chelmos you will find one of the most important ski resorts in Greece, the Kalavryta Ski Centre . With 7 lifts and 12 pistes it is also one of the biggest. Among ski fanatics it is also known for its after-ski parties and occasional night skiing! Here you will find ski rental shops, a cafeteria and a restaurant. 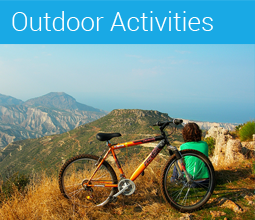 The picturesque mountain town of Kalavryta is only 14 km away. 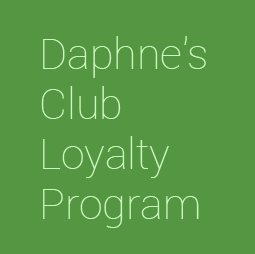 On your way back to Daphne’s Club we suggest you stop here to offer your body some much-needed sugar, in the form of local sweets! In this area there is also much you can visit in the way of classic sightseeing: the Cave of the Lakes and the monasteries of Agia Lavra and Mega Spilaio. Description: A small ski resort in the mountains of Arcadia, in a most beautiful setting in the forest, overlooking mountain peaks all around. It has a baby lift, a beginner’s blue piste and a red/black piste. You can also enjoy some thrilling off-piste skiing here. There is a famous cave in the vicinity, so if you are into whole-day skiing, you could also visit it! And should you need a snowboard instructor, Alexander, the youngest member of the Daphne’s Club family, is a trained (in Austria!) snowboard instructor and great lover of the outdoors! You can safely trust him to teach you how to snowboard AND fall in love with Greek mountains!